The Borrowdale Gates, originally built in 1860, has undergone complete refurbishment to bring a fresh contemporary feel to one of the Lake District's finest country houses in Cumbria. 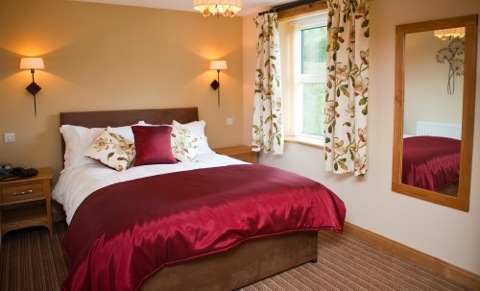 The rooms are all individually designed in soft, restful colours and fabrics, with windows and balconies situated to make the most of the stunning fell views. For a home from home, the rooms have flatscreen TVs, DVD facilities, free WiFi, haridryers, fluffy bathrobes, direct dial telephone and refreshment trays. 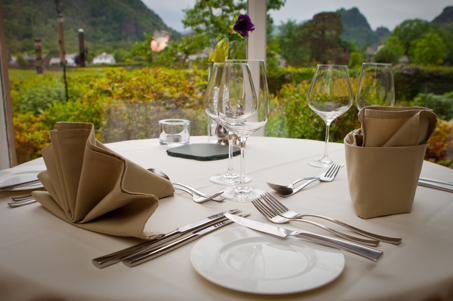 When it comes to fine dining with high quality local produce, look no further than Borrowdale Gates. The restaurant boasts a team of young, passionate and talented chefs, run by head chef Christopher Standhaven. The menus reflect the diversity and quality of Cumbrian produce available, so our guests can enjoy good cuisine in comfort, looking out over the panoramic view. The restaurant is also open to non-residents to call in for Light lunch, Afternoon Teas, 3 course Dinner or Traditional Sunday Roast Lunch. The hotel can be a perfect base for visitors wishing to ‘escape from it all’ with a range of activities to make your visit special. Fell-Walking: the area offers a wide selection of hikes of all levels, straight from the hotel doorstep and the hotel can arrange for an experienced and qualified guide help you enjoy the most of what the fells have to offer. Wildlife: for keen bird watchers, more than 50 species have been spotted at or nearby, as well as red squirrels and deer roaming in the area. Golf: the hotel is situated within 40 miles of 15 golf courses, including Silloth-on-Solway, ranked 30 in the UK. Aside fromfeaturing special offers for Golfing Breaks at certain times of the year, hotel guests can enjoy a free round of golf between Mondays and Saturdays, on a stunning mountain course at Keswick. Please see our offers page for more details. Cycling: The area is increasingly popular with cyclists ranging from the flatter lakeside routes to the more challenging fell trails. Water Sports: Many guests enjoy the alternative form of transport to Keswick by boat across the lake. For the more adventurous, a wide range of activities can be arranged on the shores of Derwentwater. Our traditional afternoon tea includes a selection of finger sandwiches, freshly baked scones and cakes, complemented by our finest range of locally blended teas and herbal infusions. Our champagne afternoon tea includes a glass of Joseph Perrier Cuvee Royale Brut, a selection of finger sandwiches, freshly baked scones and cakes, complemented by our finest range of locally blended teas and herbal infusions. From Junction 40 M6 follow A66 to Keswick, follow B5289, four miles outside of Keswick turn right over double hump backed bridge. Hotel 0.25 mile on right. “The loveliest square mile in Lakeland”, as described by Wainwright for the setting of our hotel. It is not difficult to see why, where peace and quiet come as standard. Set in two acres of woodland, the Borrowdales Gates Hotel is flanked by the dramatic peaks of Scafell Pike, Skiddaw, Honsiter, Maiden Moor, Catbells, Castle Cragg...the list goes on. It lies on the edge of the hamlet of Grange, in the mouth of the lush Borrowdale Valley - a truly mesmerising location. As such, the Borrowdale Valley has some of the UK’s most stunning fellwalks, straight from the Hotel's own doorstep. 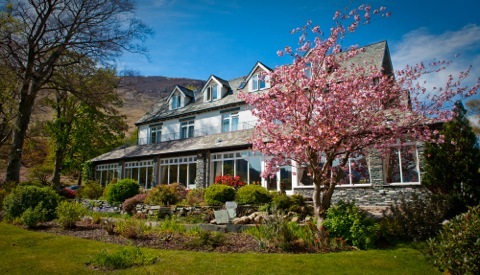 Send an e-mail to The Borrowdale Gates Hotel - Luxury Hotel in Keswick, Lake District by filling in the form below. All fields are required. 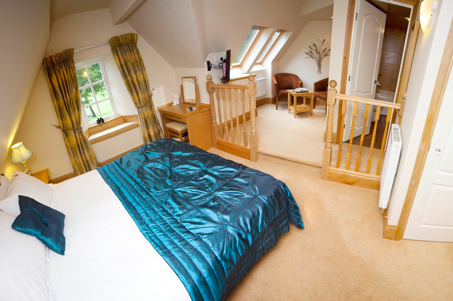 Prices include 3-course dinner & full Lakeland breakfast.